The James Emmett brand is one of the most recognizable in the field of disability inclusion. He is currently the Lead Strategist of the Workplace Initiative for the Poses Family Foundation where he oversees strategy development & implementation of projects that impact the area of disability inclusion. James has worked on many of the most visible disability & inclusion projects in the country with companies like Walgreens, Best Buy, Office Depot/Max, PepsiCo, and Mercy Health. 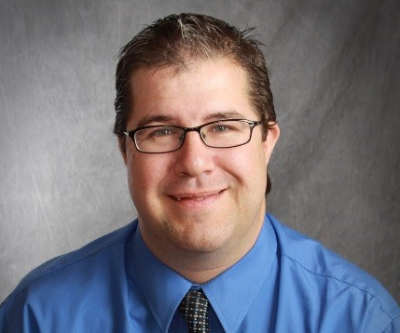 Working through APSE HR Connect, James serves as lead consultant for TIAA-CREF's "Fruits of Employment" project. Also, in partnership with the West Suburban Chamber of Commerce & Industry, James helped develop and narrated a video entitled, "Improving Customer Service for People with Disabilities” which has been viewed over 18,000 times on YouTube. James’ career vision is to forever change the business and disability communities by helping hundreds of companies create disability inclusion brands. Jon Stoops is a corporate disability consultant. He has worked directly with James Emmett for several years. James and Jon are national leaders in the development of employment services for persons with disabilities, and assisting corporations in the creation of outreach efforts to the disability community. Jon served as the Executive Director for the White County YMCA where he was instrumental in creating a community based and funded YMCA. Jon then took his business leadership into the retail industry where he operated a national brand restaurant in a multi-unit capacity. In 2008 Jon was awarded “Business of the Year” by CDC Resources and White County Indiana for their efforts in hiring individuals with disabilities. Since partnering with James Emmett, Jon has worked with many companies including Office Max, Walgreens, Pepsi, Sears, Direct Employers, Roses for Autism, Tangram, Mercy Hospital in St. Louis, Rising Tide, Ability Beyond, and several other not-for-profits assisting with the development of various disability outreach programs. Most recently, Jon has worked with the Poses Family Foundation helping create coalitions in Missouri and Kentucky linking agencies with businesses, and creating jobs for many individuals with disabilities. Jon Graduated from Goshen College with a degree in Education. Bill has been involved in numerous national disability inclusion projects at James Emmett & Co (JEC) for the past 3 years. Working as project coordinator, he has led in initiating marketing material, developing and creating websites, as well as assisting in business development across multiple industries. In addition to working at JEC, Bill serves as a consultant for Tangram Business Resourcing on the “Diversity Your Way” project. He has done ground work, coordinating efforts with community organizations, and transition programs through high schools and higher education. As a member of The ADVICE Team, a group of expert consultants specializing in creating pathways for employment for people with autism, Bill serves as project coordinator and assists in expansion of the project. Bill holds a Bachelor of science degree from The University of Wisconsin-Madison. James Emmett & Co. helps businesses develop long-term strategies, systems, processes, tools and support that create a disability-inclusive workplace.